The aim of the following research was to determine the detoxification properties of probiotic Lactobacillus sp. bacteria (12 strains) and S. cerevisiae yeast (6 strains) towards mycotoxins, such as aflatoxin B1, deoxynivalenol, fumonisins, T-2 toxin and zearalenone, which pose as frequent feed contamination. The experiment involved analysing changes in concentration of mycotoxins in PBS solutions, after 6, 12 and 24 h of incubation with monocultures of tested microorganisms, measured by high-performance liquid chromatography (HPLC). We found that all strains detoxified the mycotoxins, with the highest reduction in concentration observed for the fumonisin B1 and B2 mixture, ranging between 62 and 77% for bacterial strains and 67–74% for yeast. By contrast, deoxynivalenol was the most resistant mycotoxin: its concentration was reduced by 19–39% by Lactobacillus sp. strains and 22–43% by yeast after 24 h of incubation. High detoxification rates for aflatoxin B1, T-2 toxin and zearalenone were also observed, with concentration reduced on average by 60%, 61% and 57% by Lactobacillus, respectively, and 65%, 69% and 52% by yeast, respectively. The greatest extent of reduction in the concentration for all mycotoxins was observed after 6 h of incubation; however, a decrease in concentration was noted even after 24 h of incubation. Thus, the tested microorganisms can potentially be used as additives to decrease the concentrations of toxins in animal feed. Mycotoxins are secondary metabolites with low molecular mass (~ 700 Da), which are synthesised by filamentous fungi, belonging mostly to the Ascomycota phylum. The most common source of food and feed contamination are mycotoxins produced by the fungi Aspergillus, Penicillium and Fusarium genera [1, 2, 3]. Other mycotoxin-producing fungi include Alternaria, Chaetomium, Cladosporium, Claviceps, Diplodia, Myrothecium, Monascus, Phoma, Phomopsis, Pithomyces, Trichoderma and Stachybotrys . Aflatoxins (AF), ochratoxin (OT), trichotecens, including deoxynivalenol (DON) and T-2 toxin (T-2), as well as fumonisins (FUM), along with zearalenone (ZEN) are the most prevalent mycotoxin-related contamination found in fodder [5, 6]. AFB1 is most frequently found in feed in the European Union (> 98% of tested samples); however, DON (~ 90% of tested samples) and ZEN (~ 70% of tested samples) are often detected as well. The presence of FUM and OTA, on the other hand, are more sparsely observed . Plants are contaminated with mycotoxins, synthesised by filamentous fungi, most frequently at the time of cultivation in the fields (e.g. mycotoxin produced mostly by Fusarium sp.). Likewise, under favourable growth conditions of temperature and humidity, mycotoxin-producing fungi, such as Aspergillus sp. and Penicillium sp., are also found in food and feed that are stored [2, 8, 9]. In stored grains, moisture content within 16–30%, high temperature reaching 25–30 °C, and high relative air humidity (80–100%) are conditions that stimulate growth of filamentous fungi and mycotoxin production . The concentration of toxins in input materials (e.g. corn, grass, clover) is not reduced to a sufficient degree while they are being processed into feed, as these metabolites are resistant to high and low temperatures, even after long storage period [9, 11]. Therefore, these toxins constitute a threat, as they can enter the human food chain through products such as milk, meat or eggs . Furthermore, humans are exposed to mycotoxin-related intoxications while consuming foods of plant origin, for instance hazelnuts, almonds, grains and fruits . Therefore, European Union legislation specifies tolerable daily intake (TDI) for a variety of mycotoxins, in addition to providing guidance values for their concentrations in animal feedstuffs (Table 1) . The regulation (EU) 2017/625 of the European Parliament and of the Council of 15 March 2017, regarding official controls and other official activities performed to ensure the application of food and feed law, rules on animal health and welfare, plant health and plant protection products will come into effect on 14th December 2019. According to this regulation, Member States are obliged to establish multiannual plans and carry out food and feed controls, to ensure safety in the agri-food chain, as well as animal welfare and health, thereby providing safe food . The process of detoxification or mycotoxin removal is complicated, especially because of heat stability of these compounds, and their breakdown into toxic products. Nevertheless, detoxification may be accomplished by application of the following methods: physical (cooking, baking, microwave heating, radiation, etc. ), chemical (use of ammonia, hydrochloric acid, salicylic, sulfamide, sulfosalicylic, anthranilic, benzoic, boric, oxalic or propionic acid), and biological . For biological detoxification, plant extracts, such as piperine, lutein, carotenoids or essential oils, as well as enzymes, such as AF decomposing peroxidase or laccase, and FUM degradative carboxylesterase or aminotransferase are used. Microorganisms that are capable of degrading mycotoxins to less toxic metabolites, and the proper treatment of food or feed by fermentation are also used for biological detoxification [9, 20, 21, 22, 23]. In comparison to physical and chemical methods, biological detoxification is more efficient, specific and safer for the environment . In 1998, El-Nazami performed pioneering in vitro studies on the binding properties of mycotoxin by lactic acid bacteria, which has initiated a systematic search for microorganisms having specific abilities to adsorb mycotoxins . Among other microbes identified for biological detoxification purposes, probiotic microorganisms, defined by FAO/WHO (2002) as ‘live microorganisms, which when administered in adequate amounts confer a health benefit on the host’, were identified as microbes that bind and adsorb mycotoxins . Probiotic microorganisms, such as bacteria belonging to genera Lactobacillus, Bifidobacterium, as well as Enterococcus faecium, and the yeasts Saccharomyces cerevisiae and Saccharomyces boulardii have been shown to have mycotoxin detoxification properties . The aim of our study was to determine detoxification properties of probiotic strains of Lactobacillus sp. and S. cerevisiae towards mycotoxins, which often contaminate feed for livestock animals. This study was part of one of the stages of strain selection for designing synbiotic preparations for poultry and swine. The biological material included potential probiotic bacteria of Lactobacillus genus and strains of the yeast S. cerevisiae, which are deposited in the Łódź Collection of Pure Cultures 105 of Institute of Fermentation Technology and Microbiology at Technical University of Łódź (Table 2). Five Lactobacillus (rhamnosus ŁOCK 1087, paracasei ŁOCK 1091, reuteri ŁOCK 1092, plantarum ŁOCK 0860, pentosus ŁOCK 1094) and one S. cerevisiae (ŁOCK 0119) strain have been documented in patent application no. 422603 . The detoxification activity of bacteria and yeast was determined against five mycotoxins, namely aflatoxin B1, fumonisin mixture of fumonisin B1 and B2 (FUM), T-2 toxin, zearalenone and deoxynivalenol (Table 3). Mycotoxins were suspended in PBS buffer (Calbiochem®, Germany), and solutions of 100 μg/ml were prepared. Lactobacillus sp. were cultivated in de Man, Rogosa, and Sharpe (MRS) broth (Merck, Germany) at 37 °C, while S. cerevisiae was grown at 30 °C, in yeast extract–peptone–glucose broth (YPG Broth, Merck, Germany). Both bacteria and yeast cultures were grown in normal oxygen conditions for 24 h. After 24 h of incubation, monocultures of the analysed strains, in three repetitions, were centrifuged at relative centrifugal force (RCF) 3468×g for 10 min (Centrifuge MPW-251; MPW, Poland). Subsequently, the supernatants were removed and the bacteria and yeast biomass were washed three times with PBS buffer to remove any residual culture medium. The cell pellets were again centrifuged under the same conditions. Ten millilitres of mycotoxin solutions were added to the prepared samples, with a defined concentration of 100 μg/ml for each mycotoxin. These samples were further incubated in normal oxygen conditions for 24 h at 37 °C or 30 °C for lactic acid bacteria and yeast, respectively. After 6, 12 and 24 h of incubation, 2 ml of each sample was collected, centrifuged at RCF of 3468×g for 10 min, and the supernatants were filtered with PTFE syringe filters with 0.22-μm-diameter pores (Millex-GS, Millipore, USA). As a positive control sample, a solution of analysed mycotoxin in PBS was used, and bacterial or yeast suspension served as negative control sample. The prepared samples were subjected to high-performance liquid chromatography (HPLC) analysis, the parameters of which are presented in Table 4. Analysis was performed as previously described by El-Nazami et al. , with modifications. For this purpose, Surveyor liquid chromatography (Thermo Scientific, USA) was used with a 250 × 4.6 mm size ACE 5 C18 column (Advanced Chromatography Technologies (ACT), Scotland). Mycotoxins were identified by comparing the retention times of the peak with standard solutions. The mycotoxin concentrations were determined by correlation of peak area of the samples with the standard curves, obtained by HPLC analysis of standard solutions. The results presented here constitute the arithmetic mean of values from three repetitions, with standard deviation. All statistical analyses were carried out using the one-way ANOVA test, with a significance level of p < 0.05 (Origin 6.1 program, OriginLab). A comparative Duncan test was carried out at a significance level of p > 0.05 (STATISTICA 10, StatSoft). Bacteria belonging to the Lactobacillus genus were characterised by their diverse ability to detoxify aflatoxin B1. In merely after 6 h of incubation, a statistically significant reduction of AFB1 concentration was noticed, ranging from 35.33 to 79.65 μg/ml (20–65% reduction, 49% on average) compared to the initial mycotoxin concentration of 100 μg/ml. In subsequent hours, further reduction in AFB1 concentration was observed. After 24 h of incubation, the concentration of mycotoxin in the samples was 28.96–55.80 μg/ml (mean, 40.43 μg/ml). Therefore, there was a reduction of between 44 and 71% (mean, 60%) compared to the initial concentration of the mycotoxin. S. cerevisiae showed detoxification activity similar to that of analysed strains of Lactobacillus sp. After 6 h of incubation, AFB1 concentrations were statistically significantly reduced by 47–66% (average 58%) and ranged from 33.64 to 53.27 μg/ml. In subsequent hours of incubation, the concentration of the mycotoxin further decreased, and after 24 h, the mycotoxin concentrations were 32.48–4.45 μg/ml (average reduction of AFB1 by 65%) (Table 5). Deoxynivalenol (DON) concentrations were significantly reduced after 6 h of incubation in the presence of the bacteria monoculture, varying between 78.39 and 94.24 μg/ml (mean, 84.30 μg/ml), indicating that these bacteria have the ability to decrease DON concentration by an average of 16%. Further decrease in DON concentration in the subsequent incubation hours was also observed. After 24 h, DON concentrations ranged between 60.63 and 80.72 μg/ml (mean, 70.45 μg/ml), thereby showing a reduction of 19–39% (mean, 30%). S. cerevisiae strains used in the analysis also demonstrated the ability to reduce the concentration of DON in suspension. After 6 h, significant reductions of DON concentrations were observed, ranging between 12 and 22% (mean, 18%) of the initial concentration of DON. After a further 6 h, the concentrations were 65.57–80.81 μg/ml (mean, 73.20 μg/ml). After 24 h of incubation, the DON concentrations were reduced by 22–40% (mean, 33%) relative to the initial concentration of mycotoxin (Table 6). Bacteria belonging to Lactobacillus genus detoxified the mixture of fumonisin B1 (FB1) and B2 (FB2) mycotoxins (FUMs). After 6 h of incubation, the FUM concentration was reduced by 36–64% (mean, 51%) compared to the initial concentration of the mycotoxin mixture. Subsequent incubation resulted in a further significant decrease in FUM concentration, which after 24 h of incubation was reduced by an average of 70% and ranged from 23.08 to 38.42 μg/ml (mean, 29.53 μg/ml). S. cerevisiae also reduced the concentrations of FUM, significantly reducing them by 29–60% (mean, 53%) to 40.15–70.57 μg/ml (mean, 47.19 μg/ml). In subsequent hours of incubation, the concentrations of mycotoxin further declined. Finally, after 24 h, the FUM concentration ranged between 25.53 and 32.57 μg/ml, demonstrating an average reduction of 72% of the initial concentration (Table 7). After 6 h of incubation, significant reduction of T-2 toxin concentrations by monocultures of analysed Lactobacillus sp. strains were observed ranging between 48.25 and 73.32 μg/ml (mean, 57.36 μg/ml). Continued incubation caused a further decrease in T-2 concentration, as a result of which after 24 h of incubation the concentrations of mycotoxin were 31.09–50.10 μg/ml (mean, 39.01 μg/ml). This shift in concentration values indicated a reduction of 50–69% (mean, 61%) in relation to the initial quantity of T-2. S. cerevisiae strains subjected to the analysis were characterised by diverse T-2 detoxification activity. After 6-h incubation, a statistically significant decrease in the concentration of T-2 to level of 46.92–54.98 μg/ml (average reduction of 49% of initial concentration) was observed. In subsequent hours of incubation, T-2 concentration further decreased. The concentration of the mycotoxin after 24 h of incubation reduced by 60–63% (mean, 61%) of the initial concentration and ranged between 37.36 and 40.40 μg/ml (mean, 38.68 μg/ml) (Table 8). Lactobacillus sp. showed varied ability for zearalenone (ZEN) detoxification. After only 6 h of incubation, a statistically significant reduction of ZEN concentration was observed, which ranged between 28 and 59% (mean, 43%) relative to the initial mycotoxin concentration of 100 μg/ml. In subsequent hours of incubation, a further reduction in the mycotoxin concentration was noted. After 24 h of incubation, the concentration of ZEN was 27.39–60.05 μg/ml (mean, 40.43 μg/ml). Therefore, a reduction of 40–73% (mean, 57%) in relation to the initial concentration of the ZEN was observed in monocultures incubated with Lactobacillus sp. S. cerevisiae also demonstrated the ability to reduce the concentration of ZEN, and after 6 h of incubation, a significant decrease of 24–42% (average 34%) to level of 57.64–75.60 μg/ml (mean, 65.55 μg/ml) was observed. In subsequent hours of incubation, the concentration of the mycotoxin further reduced, and after 24 h, ZEN concentrations ranged between 41.88 and 55.84 μg/ml (average reduction of 52% of the initial concentration) (Table 9). Based on these results, we concluded that mycotoxin (AFB1, DON, FUM, T-2, ZEN) detoxification properties of Lactobacillus sp. and S. cerevisiae were strain-dependent. Both bacteria and yeast strains, subjected to analysis, showed the highest detoxification activity towards FUM. The most resistant mycotoxin was DON. We found that the detoxification of AFB1, DON, FUM and ZEN mycotoxins by the tested Lactobacillus sp. and S. cerevisiae strains were similar and did not show significant differences. In contrast, the T-2 compound was more susceptible to removal from the mixture by yeast monocultures at a significance level of p < 0.05 compared to bacterial monocultures. The analysis allowed selection of four bacterial strains and two yeast strains characterised by the best detoxification capabilities of all analysed mycotoxins. These include Lact. rhamnosus ŁOCK 1087, Lact. reuteri ŁOCK 1092, Lact. plantarum ŁOCK 0860, Lact. pentosus ŁOCK 1094, S. cerevisiae ŁOCK 0119 and S. cerevisiae ŁOCK 1042. Mycotoxin detoxification methods can be classified by modes of action applied before or after harvesting raw plant materials, which are used for human and animal nutrition. During tillage process of plants, good agricultural practice (GAP) should be maintained, including crop rotation, cultivation of resistant plants, ploughing, irrigation, chemical and biological control of plant diseases and proper use of chemicals (e.g. fungicides) [22, 34, 35]. When crops have already been harvested, mycotoxin concentration can be reduced by adjustment of appropriate storage conditions (i.e. humidity and temperature), or by using detoxification treatments (physical, chemical, biological) that can degrade, inactivate or decrease the toxicity level of mycotoxins and ensure the nutritional value of food. Simultaneously, these detoxification methods should not introduce any major changes in production process technology [9, 34, 35]. Among other mycotoxin detoxification methods, microorganisms, inter alia probiotic strains of Lactobacillus sp. and S. cerevisiae, are used in case of mycotoxin contamination of food and fodder . Lactobacillus sp. are able to bind mycotoxins mostly to cell wall peptidoglycans, polysaccharides and teichoic acid, primarily through hydrophobic interactions, whereas S. cerevisiae are bind toxic metabolites of filamentous fungi to the cell wall. In addition, microorganisms biodegrade mycotoxins that prevent adsorption of these components inside the intestines on animals that feed on the food [24, 37, 38]. 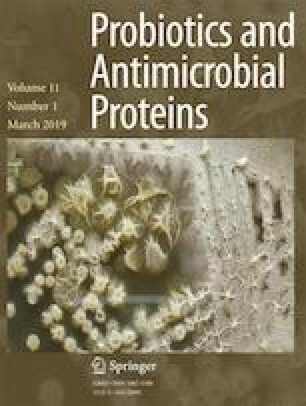 In this article, in vitro results demonstrated the ability to reduce the concentration of mycotoxins: AFB1, DON, FUM, T-2, ZEN in PBS solution by 12 strains of bacteria from Lactobacillus genus, and 6 S. cerevisiae strains. The AFB1 concentration in PBS solution was reduced by the tested strains of bacteria to varying degrees, on average 49.44% after the first 6 h of incubation, by another 4.82% during the next 6 h of incubation, and maintained within a range of 44.20–71.04 μg/ml (average reduction of 59.97%) after 24 h of incubation. The greatest amount of AFB1 was bound by bacteria strains after 6 h of incubation, suggesting that the adsorption of the mycotoxin by Lactobacillus is an immediate process. Haskard et al. (2001) tested the ability of eight Lactobacillus strains to bind AFB1 to bacterial surfaces using ELISA; their results were similar to ours . Liew et al. (2018), who also performed AFB1 binding assays with ELISA, confirmed results obtained by Haskard et al. (2001), and observed that live cells of Lactobacillus casei Shirota were more efficient in binding mycotoxin, than heat-treated organisms . Hernandez-Mendoza et al. (2009), Huang et al. (2017) and Kumar et al. (2018) in their in vitro analysis using HPLC also showed the variable range of detoxification level of AFB1 by Lactobacillus sp. In these studies, AFB1 was bound by the tested strains of bacteria in the range of 14–49%, 20.88–59.44% and 0–85%, respectively [41, 42, 43]. The variable binding ability of the Lactobacillus strains to AFB1 could be the result of differences in cell wall structure, especially in terms of teichoic acid and peptidoglycan content . On the basis of the studies conducted, Gratz et al. (2005) showed that the binding of AFB1 by Lactobacillus sp. is a rapid process, which was also confirmed in research conducted by Kumar et al. (2018), as well as in our studies [43, 45]. Moreover, tested S. cerevisiae strains varied in their reduction of AFB1 concentration (on average 57.92% after 6 h of incubation, another 3.07% after 12 h of incubation, with a final 3.69% reduction after 24 h), which is consistent with the results obtained by Pizzolitto et al. (2012a) and Poloni et al. (2017) [46, 47]. Strain-dependent AFB1 detoxification, by bacteria and yeast, was also observed in the results of studies by Pizzolitto et al. (2011) . The detoxification activity of yeast strains to reduce the concentration of AFB1 was similar to that of the tested Lactobacillus, and what is also known in the case of yeast is that the cell wall components are also responsible for the binding of the AFB1 mycotoxin . On the basis of the results obtained, we conclude that strains of Lactobacillus isolated from the intestinal content of monogastric animals showed higher binding activity towards DON, than did strains derived from plant silages. After 6 h of incubation, DON concentration was reduced by the bacterial strains tested by 5.76–21.64% (mean, 15.70%); after 12 h, it was reduced by an average of another 7.39%; and after 24 h, the concentration of DON was reduced by 19.28–39.37% (mean, 29.55%) of the initial concentration of the mycotoxin. Niederkorn et al. (2007) showed low detoxification activity of 137 Lactobacillus strains, which was also observed in the strains used in our study . Similar results were obtained by Franco et al. (2011) and Zou et al. (2012), whereas in a study by García et al. (2018), even though they did not observe DON binding by Lactobacillus rhamnosus RC007, based on their results, they concluded that Lact. rhamnosus contributed to counteract toxic effect of DON and helped to maintain healthy gastrointestinal tract of pigs [50, 51, 52]. In our studies, similarly low levels of activity of S. cerevisiae were demonstrated, decreasing the concentration of DON by 18.01%, on average, after 6 h of incubation, by 8.80% after another 6 h and an average of 33.03% of the initial concentration after 24 h of incubation. These results are in line with results obtained by Campagnollo et al. (2015) . Based on these data, a significantly weaker DON binding activity by the analysed strains of microorganisms was also observed in comparison to other mycotoxins, namely AF, ZEN or FUM, as also observed by Niderkorn et al. (2007) and Campagnollo et al. (2015) [49, 53]. The 12 Lactobacillus strains analysed reduced FB1 and FB2 mixture concentrations by the most significant amounts among all mycotoxins tested. The FUM concentrations decreased on average by over 51.23% after 6 h of incubation, and a further 8.61% after 12 h. After 24 h of incubation, the concentrations were maintained at an average level of 29.53 μg/ml (reduction by an average of 70.47% of the initial FUM concentration). The greatest reduction in concentration occurred after 6 h, while the FUM binding process was observed up to 24 h of incubation, which is comparable to the results obtained by Abbès et al. (2016) . Zhao et al. (2016) also showed that the process of FUM binding to the surface of Lactobacillus is rapid, as they observed the binding after 1 h of incubation . In fact, Pizzolitto et al. (2012b) found that it was an immediate process, occurring after only a minute of incubation . Deepthi et al. (2016) also reported high FB1 removal (61.7%) by Lact. plantarum MYS6, after 4 h of incubation; furthermore, they observed that tested strain suppressed fumonisin biosynthesis . In our study, high FUM detoxification levels exhibited by Lactobacillus sp., which was dependent on the strain tested and mycotoxin type, coincided with the results obtained by Niderkorn et al. (2007), Abbès et al. (2016) and Zhao et al. (2016) [49, 54, 55]. Moreover, Zhao et al. (2016) also noted that peptidoglycan is primarily responsible for the binding of FUM, whereas teichoic acid has little effect on mycotoxin binding . On the other hand, Martinez Tuppia et al. (2016), showed that FB1 detoxification might not only be a matter of adsorption, but also the result of biodegradation to other compounds (e.g. hydrolysed fumonisin B1, HFB1); however, this was not observed for all analysed Lactobacillus sp. strains in their study . In our research, high and diverse activity of the analysed S. cerevisiae strains reducing FUM concentration was also shown, and the results agree with those of Pizzolitto et al. (2012b) . Furthermore, Armando et al. (2013), who also observed high FB1 binding properties of S. cerevisiae yeast (strain RC016), observed that ability of binding the mycotoxin increases along with concentration . Our results also showed that the strains isolated from the feed were characterised by a slightly lower ability to remove FUM (67.43% after 24 h of incubation) than achieved by baker’s yeast (70.71–74.47% reduction of FUM concentration after 24 h of incubation) or strains isolated from a distillery environment (72.88% and 73.04% reduction of mycotoxin concentration after 24 h of incubation). The concentrations of T-2 toxin were decreased by the tested strains of Lactobacillus and S. cerevisiae to a high degree, where reduction exceeded a mean of 60% after 24 h of incubation. After 6 h of incubation, the Lactobacillus strains reduced the concentration of T-2 by 26.68–51.75% (average 42.64%), and after 24 h, it remained at a level of 31.09–50.10 μg/ml (average 39.01 μg/ml). Bacterial strains used in our study showed higher T-2 binding affinity than shown by the four strains analysed by Zou et al. (2012) . Only in relation to the T-2 toxin did the six S. cerevisiae strains show significantly stronger detoxification properties (average T-2 binding after 24 h of incubation was 69.18%) than the tested bacterial strains (average decontamination rate after 24 h was 61.45%). Zou et al. (2015) obtained a similar level of T-2 detoxification by S. cerevisiae strains in their studies and found the yeast’s reduction of the concentration of T-2 toxin was also the result of mycotoxin binding to the yeast cell wall . The ability of Lactobacillus strains to bind ZEN was similar to that observed in the case of AFB1 and the detoxification level of the mycotoxin was mean of 56.90% after 24 h of incubation. Our results showed that the greatest reduction in ZEN concentrations, by 27.55–58.79% (mean, 42.73%), occurred after 6 h of incubation. The ZEN concentrations were reduced further by an average of 8.17% after the next 6 h of incubation, finally reaching an average level of 43.10 μg/ml after 24 h (an average 56.90% of the initial concentration of ZEN was bound by the bacterial strains). The capability of Lactobacillus strains to decrease ZEN concentration was also found by Zhao et al. (2015); ZEN binding activities on the cell walls of the 27 tested Lact. plantarum strains were weaker compared to those of the strains we used in our study . Furthermore, Zhao et al. established that the binding of ZEN to the cell wall of Lactobacillus is an immediate process, which is consistent with the results we obtained . Niderkorn et al. (2006), Čvek et al. (2012), Sangsila et al. (2016) and Vega et al. (2017) showed comparable results from their studies indicating great potential of Lactobacillus sp. to reduce ZEN concentration [62, 63, 64, 65]. We found that S. cerevisiae strains reduced ZEN concentration by 24.40–42.36% (average 34.45%) after 6 h of incubation, with an additional 11.59% after 12 h and an average 5.82% after 24 h. Similar results were obtained by Keller et al. (2015); they concluded that at the beginning, large amounts of ZEN is bound to the yeast cell wall due to the higher concentration of the mycotoxin in the environment . The ZEN detoxification activity of the bacteria and yeast strains used in this study, was strain-dependent, a result also shown by Armando et al. (2012) and Zhao et al. (2015) [61, 67]. Our data allowed us to observe the potential of Lactobacillus and S. cerevisiae to lower the concentrations of the mycotoxins AFB1, DON, FUM, T-2 and ZEN. We found that the detoxification of these compounds is a rapid process. To a great extent, the concentration of the toxins decreases within 6 h of incubation, and can last up to 24 h. Nevertheless, the differences in concentrations were not so significant at a prolonged period of 24-h incubation. The Lactobacillus and S. cerevisiae strains analysed showed detoxification properties towards mycotoxins (AFB1, DON, FUM, T-2, ZEN) in this in vitro study. Therefore, these strains, after further investigation, could be used as food and feed additives to detoxify contaminating mycotoxins, which pose potential threats to human and animal health. We would like to thank the National Centre for Research and Development for the financial support of publication of this paper within the project PBS3/A8/32/2015 realised within the framework of the Program of Applied Studies. This research was funded by the National Centre for Research and Development within the project PBS3/A8/32/2015.